CHARLES BLAKE/Sun-Gazette Correspondent Penn College’s Gwendolyn Lavelle attempts to score against Penn State Berks at Bardo Gymnasium on Wednesday. Deanna Daddona had enough time to set her feet and even get away with a travel. All Penn College defenders were in the paint, feet away from closing out on Daddona. The senior guard’s made 3-pointer hit the blue painted hardwood below as the third quarter buzzer sounded. That shot gave Penn State Berks an eight-point lead and the uncontested open shot was a familiar site all night for the Wildcats. The 3-pointer capped a 6-0 Penn State Berks run in 72 seconds and the Lions exploded for a 28-point fourth quarter en rout to an 86-59 win over Penn College Wednesday night at Bardo Gym. The young Wildcats (0-7 overall, 0-3 NEAC) are still searching for their first win and last night they nearly got it, despite the final score. A scattered defense, though, paired with 22 turnovers and a 15-rebound disadvantage doomed the Wildcats, who were within one point multiple times in the third quarter. 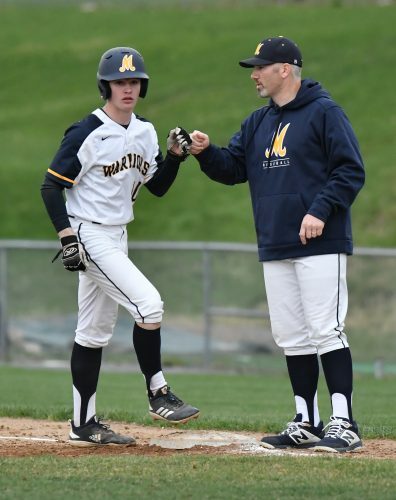 Despite their winless record, the Wildcats have been close in a lot of their games this season. They battled with Penn State Abington in their last outing and went back and forth before the Lions pulled away in the second half. Consider it growing pains for a team that features eight freshmen and sophomores and only one senior in the rotation. 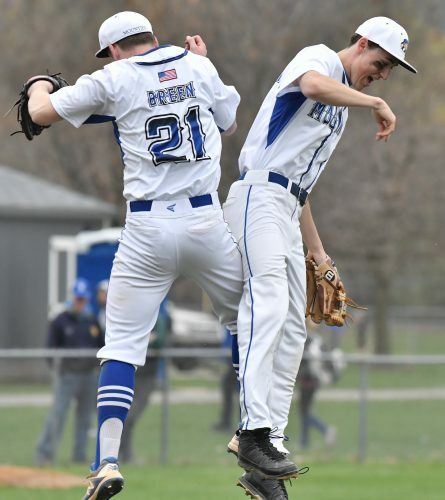 Penn College battled back from multiple near double-digit deficits early. The game looked bleak at times for the Wildcats, but they continued to fight and kept within striking distance until the fourth quarter when Berks hit 61 percent of its shots and held a 28-10 scoring advantage to pull away. After Berks increased its lead to 10 midway through the third, Southern Columbia graduate Madison Klock scored seven straight points in an 11-2 Penn College run that got her team within one. Berks continued to hold one-possession leads until late in the third when it hit two 3-pointers and entered the fourth sporting a nine-point lead. Klock led three Wildcats in double-figures with 11 points, five rebounds, four assists and four steals. Freshmam Maci Ilgen (10 points, three rebounds, two blocks) provided a spark off the bench and freshman point guard Kaylah Brown added 10 points and three assists. Montgomery graduate Kiara Fry posted four points, six rebounds and two steals off the bench and Loyalsock graduate Cassi Kuhns totaled six points, four rebounds and two blocks. Kylie Herman 10-21 0-0 20; Deanna Daddona 6-18 6-8 19; Kaitlyn Armstrong 8-13 1-2 19; Sam Brensinger 3-7 0-2 8; Julia Bookwalter 0-1 0-0 0; Lex Schratt 2-6 2-2 6; Elise Paskowski 3-8 0-0 6; Nicole Kopcik 2-3 0-0 5; Raven-Monet Kemper 1-2 0-0 2; Sam Huggins 0-1 1-2 1; Abbie Carr 0-3 0-0 0; Whitney Allen 0-0 0-0 0. Totals 35-83 10-16 86. Madison Klock 5-15 0-1 11; Kaylah Brown 4-11 0-0 10; Gwendolyn Lavelle 2-8 0-0 6; Cassi Kuhns 2-6 2-4 6; Tori Wolfe 0-0 0-0 0; Maci Ilgen 3-11 3-4 10; Arianna Burke 2-2 1-1 5; Kiara Fry 1-3 2-4 4; Makaya Shadle 2-3 0-0 4; Olivia Johnson 1-6 0-0 3; Erin Shaffer 0-0 0-0 0. Totals 22-65 8-14 59. 3-point goals: PSU Berks 6-20 (Brensinger 2-3, Armstrong 2-4, Daddona 1-7, Kopcik 1-1, Kemper 0-1, Carr 0-1, Schratt 0-1, Herman 0-2), Penn College 7-28 (Brown 2-6, Lavelle 2-7, Ilgen 1-1, Johnson 1-6, Shadle 0-1). 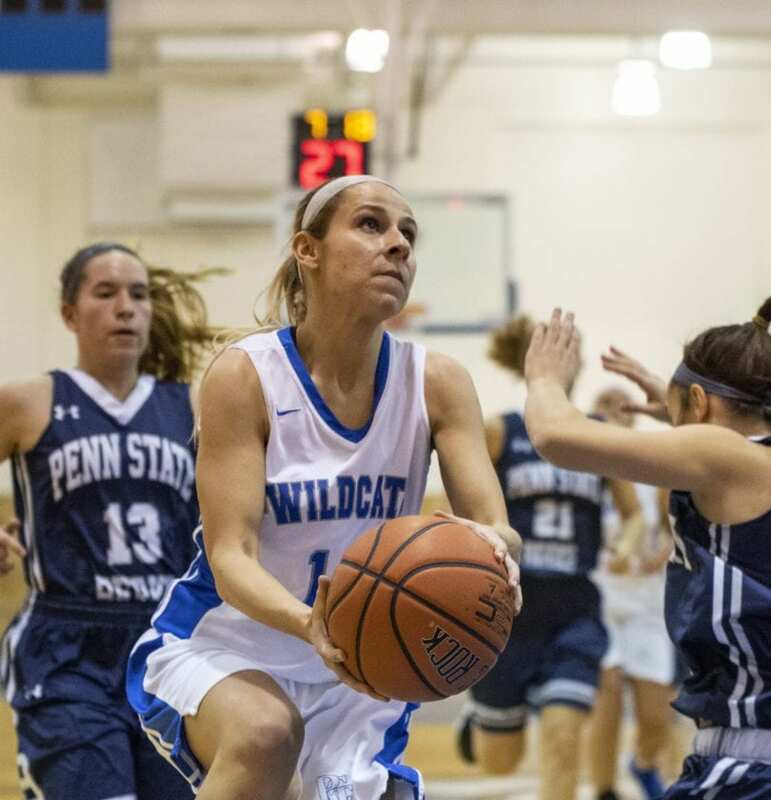 Fouled out: PSU Berks-none; Penn College-none. Rebounds: PSU Berks 48 (Herman 11, Armstrong 10), Penn College 33 (Fry 6, Lavelle 6). Assists: PSU Berks 16 (Armstrong 5), Penn College 9 (Klock 4). Total fouls: PSU Berks 14, Penn College 12. Technical fouls: PSU Berks-none; Penn College-none.